Welcome home! 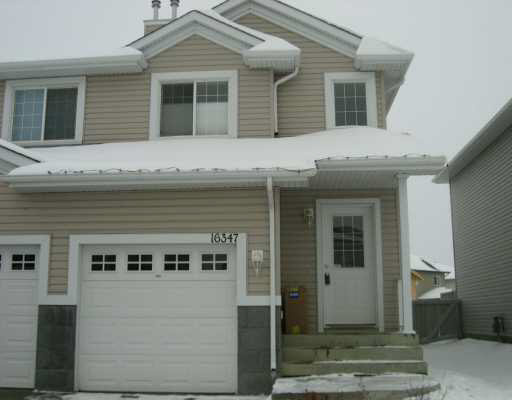 Your beautiful half duplex is located in North East Edmonton in the friendly community of Hollick Kenyon. Beautiful oak laminate wood flooring covers your main floor. Spacious kitchen with new sleek, black appliances, corner pantry/nook and breakfast bar. Convenient sliding door off living room leads to raised deck and fully landscaped and fenced backyard. Upstairs there are 3 bedrooms for you and your family to spread out in. Enjoy your fully finished basement with large rumpus room - perfect for a TV or play room. Single front attached garage with extra space for storage. Don't wait!! Small pets negotiable. No Smoking.